Happy New Year! 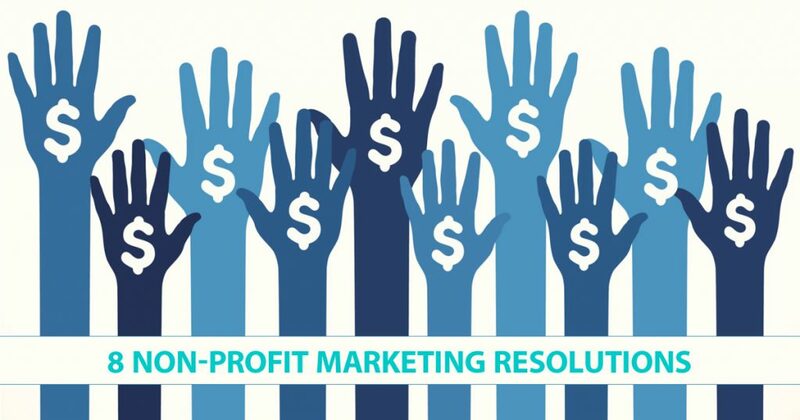 The New Year is a great time to get a fresh start on your online non-profit fundraising. 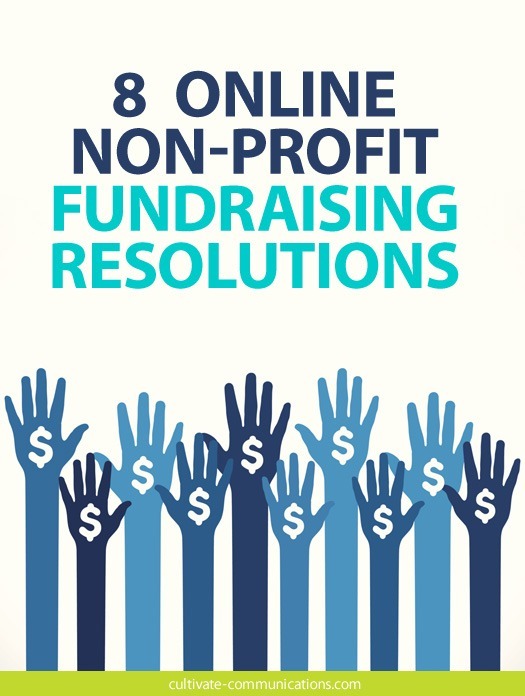 Here are your 2015 New Year’s resolutions to ensure your online non-profit fundraising is as successful as possible. 1. I resolve to start the year off with a plan. Look at your marketing plan for the year. What’s that? You haven’t really written it out yet? Go through your calendar month-by-month or quarter-by-quarter and map out your goals and your campaigns for the upcoming year. Be sure to schedule board meetings and visits, time to start working on your annual report, and each of your media goals. 2. I resolve to hold capital campaigns each quarter, around holidays and events. Consider your organization’s major events, milestones, holiday observances and other times of year when your donors have your organization top of mind. Each quarter, use these events as a strategic opportunity to send out a targeted email marketing campaign. Don’t miss these opportunities—you already have a theme and a focus in the bag. You’ll keep those gifts rolling in all year long! 3. I will commit to donor appreciation and recognition. Make 2015 the Year of the Donor. Add donor names to your website. Send those personal emails. Find ways to make your donors feel recognized and special. If you send out an online newsletter, be consistent and always include a section thanking donors, volunteers and contributors. Stewardship breeds repeat donations. 4. I will document stories and boost my story file. Inspiring and poignant stories bring your organization to life on the web and show donors why their support is so vital. Resolve to add more stories to your website—and be sure to get those pictures up, too! If you haven’t created a story folder where you capture every tidbit and wonderful heartwarming morsel that goes on at your organization, NOW is the time to start. When it comes time to work on your annual report or face your fall giving season, your story file will save you tons of time and energy. 5. I will discover which tools work well and COMMIT. If it ain’t broke….well, you know the rest. If a particular tool is working well for your organization, commit to using it to the fullest degree. Constantly switching out your toolkit causes delays on your website and you risk letting donors fall through the cracks (not to mention a mutinous staff)! 6. I resolve to diligently amp up my social media. When it comes to online non-profit fundraising, social media is your BFF. Figure out a way to manage your content. That might mean hiring help, implementing a scheduling program or even streamlining your social media. (Do you really need to be on Pinterest, Instagram, Facebook AND Twitter?) Whatever platforms you use, make it your goal to consistently offer up quality content. Social media is a reality in today’s world, so if you’re ignoring it or letting it slip you’re losing your donor audience. 7. I will update all of my contacts from those holiday mailings. You know those email addresses that kicked back to you as undeliverable? That pile of “return to sender” envelopes on your desk? Well, now’s the time to get those updates in your database and start the year out right! Keeping updated records shows your donors you really care enough to keep things personal. Plus, you ensure you’re not any wasting time on your next correspondence. 8. I resolve to keep my eyes open for new ideas, partners, campaigns and crowd funding opportunities. 2014 was the year of the viral campaign. (Ice Bucket Challenge, anyone?) Smart non-profits identified this opportunity and were able to participate and learn from it. Keep your eyes open for the next big industry idea. Read online forums and subscribe to blogs and newsletters. Keep up your connections with partner organizations, matching campaigns and other resources. Make 2015 your best year yet by ramping up your online non-profit fundraising!